It is a difficult task to encapsulate the spirit of someone who has touched so many of us in so many different ways. There are no bright lines of demarcation with a complex and sensitive man like Patrick. Perhaps the best approach is simply to choose a few fond remembrances – since we could never hope to recover all of Patrick’s many fine qualities. Patrick was passionate about his legal practice, the law and justice. Often when I come to his office to discuss some of the legal work that we do together and after having discussed and resolved the matter for the day, he would always ask me to join him for dinner later in the evening. During dinner, we would continue discussing our legal work though the matter had already been resolved during the day earlier at his office. He was very meticulous in analysing the law and fact of the matter and sometimes, we would take another few days to finally agree over the legal solutions of the matter in question. And how did we resolve this? We would do further legal research and look for more law cases to support the law and facts in questions. This part of law work was most time consuming. It was all about balancing the scale of justice. Justice hurried is justice buried, justice delayed is justice denied. During my time with Patrick, we had also shared and talked about philosophical aspect of life and current politics. Patrick was concerned about finding the purpose in and truth about life and how we could make the world a better place; a world free from mental, physical and spiritual slavery and poverty. And usually we would end up in a bookstore looking for books that could enlighten us on those topics that we had discussed earlier – from neuro science, quantum physics to concept of money creations in economics, religion, spiritual and the Sufi path. Generosity was another of Patrick’s quality. He was not just generous in helping his office staff and people around him by giving financial assistance but also spiritual charity. At times, he would confide in me that some of his friends had borrowed money from him with no intention of repaying him. And guess what? He would forgive them and treat that loan as a gift to them. He once told me that the purpose of charity was not so much to help the needy, for God is the Satisfier of all needs, but to let the donor’s intentions be acceptable to God. Those who cover and hide the sins of sinners will have mercy from God for their devotion and God will also hide and cover the sins of the donor. With this I end with a quote, “Death is not the greatest loss in life. The greatest loss is what dies inside us while we live.” Ameen. Today we bury my nephew, Patrick. My sister, Veronica, was 20 years old when he was born. I was only 11 but I will never forget the excitement and joy his birth brought to our family. He was such an adorable baby that he won a competition for the cutest baby when he was 18 months old. As a young boy, Patrick was inquisitive and it was no surprise that he became a lawyer. Today I want to celebrate Patrick’s life. There’s a Malay proverb that says: Harimau Mati Meninggalkan Belang, Manusia Mati Meninggalkan Nama. It simply means Good Deeds Never Die. Not what did he gain but what did he give? But had he a heart? And how did he play his God-given part? These are the things that measure the worth of a man, regardless of birth. Two adjectives aptly describe Patrick – generous and kind. Generosity of spirit and charitable, because of his kindness. Patrick was an extremely generous man. He would give our family great sumptuous dinners – who could ever forget that lobster dinner. But his generosity extended to others too. His good deeds were never published. He never spoke of it. 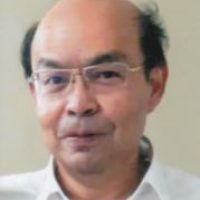 It was not uncommon for Patrick, while walking around, to see a beggar or some unfortunate soul and either give him money or invite the person to join him for roti canai or char koay teow. He would sit and talk to them. He saw dignity in the poor and powerless and would often give his time to comfort them. I recently found out that he was on the Board of Directors for Dignity International School – an NGO that runs a school for refugee children. Patrick was the main contributor. We only came to know about this after my brother, Gerard, met him at a function for international schools. Just last week, my late mother’s maid, Sundari, who had worked for her for more than 20 years, visited Patrick at the hospital. She told me Patrick had helped her husband get a blue IC by doing the paperwork. She said Patrick even drove her husband and her to Putrajaya to settle the matter and that she would forever be grateful to him. Then Patrick’s mother recalled that when several parts of the east coast of Peninsular Malaysia were inundated by floods a few years ago, he gave her RM2,000 to buy blankets which she and his brother Peter delivered to a flood relief centre in Kuantan. A few Christmases ago, Patrick invited all the children from an orphanage in Klang to join in our family’s annual Christmas-eve dinner. Needless to say he sponsored the dinner as well as the gifts for the children. As the presents were being distributed to the children, I watched him looking on with joy and a radiant glow on his face. I then understood the meaning of ‘in giving we receive’. The list of his charitable deeds can go on as helping the less fortunate was one of Patrick’s missions in life. Kindness is the language that the deaf can hear and the blind can see. Patrick was also a filial and wonderful son who loved and admired his mother tremendously. He once told me he would be forever grateful to his mother for the sacrifices she made for him when he was studying for his law degree. He said that she was the strongest woman he had known. He made it a point to visit her every Saturday, whenever possible. He loved her cooking and once told a friend she could cook luncheon meat in a 100 different ways. The dogs loved him too for they would get a KFC treat whenever he came to Klang. In fact Patrick loved all his siblings, Christina, Peter and Paul, unconditionally. He was very close to them. He looked out for them. He doted on Ashley, his niece, and cared for his friend Tiffany. He also had a great affection for Jeremy, his brother-in-law. And after lunch on most of the Saturday’s he visited his mother, he would lepak with Paul at a mall or watch a movie together. Being the oldest, his cousins naturally looked up to him as their mentor. He always had an encouraging word for them and often gave them free advice – legal or otherwise. My daughter Clare said he was an inspiration to her and really wished she could have been present today to say goodbye. His cousins from Singapore, who flew in to see him two weeks ago when he was critically ill, are also here today. His aunts and uncles, his mother’s siblings and in-laws, loved him. To them, he was the seeker of truth and an engaging conversationalist. My siblings have flown from England, Australia and Singapore to be here. Patrick was our oldest nephew and we loved him dearly. Patrick was also a reserved and private person who did not wear his heart on his sleeve. It was his actions that reflected his love, generosity and kindness towards us. As I reflect on Patrick’s life, I would like to quote from the bible (Matthew, Ch. 25) on the Final Judgement. The King says to the righteous men on Judgement Day. Come, you are blessed by my Father. Come and possess the Kingdom which has been prepared for you since the creation of the world. I was hungry and you fed me, thirsty and you gave me drink, naked and you clothed me. The righteous men would answer him — When Lord did we ever see you hungry and feed you or thirsty and give you a drink? Then the King says: I tell you, whenever you did this for one of the least important of these brothers of mine, you did it for Me. The Chapter 25 ends with: The Righteous will go to Eternal Life. I believe Patrick practised the teachings of Christ on charity in his life and has gone to his eternal reward. Patrick will always live on in our heart and forever be missed. The song of his life has ended but the melody of his deeds will linger on. On behalf of Patrick’s family, thank you one and all for being here for Patrick’s final journey. Thank your Mgr. Rev. Fr. Mitchel for seeing Patrick late on Wednesday night, giving him his final rites and celebrating the mass today. It is much appreciated.